Diğer bilgiler 8m3 Light Line Drum, powered by ZF PTO transmission. Complete with manual cable and electronic rev controls, 2 extension chutes and wash-down hoses. 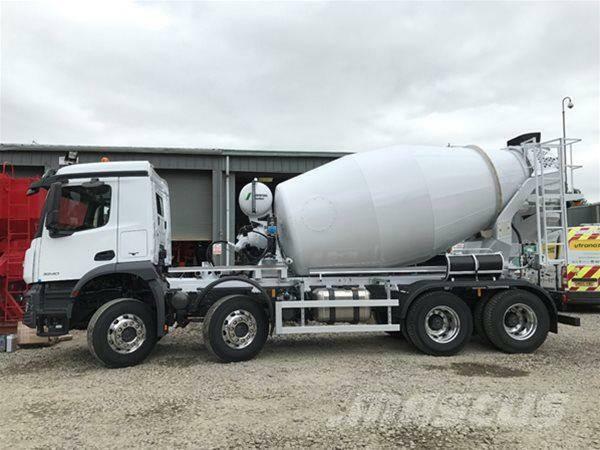 Mounted on unregistered Mercedes M-Cab model Arocs 3236, 8x4, 32 ton gvw cab/chassis fitted with 360bhp Mercedes engine, auto transmission, Euro 6, air conditioning, reversing camera and alarm, front/rear beacons, painted white with full warranty.